The SKB FS-6 case offers the ultimate in protection with SKB's famous molded-in bumper protection, molded-in feet and a fully plush lined EPS molded interior with an oversized compartment that will accommodate accessories. 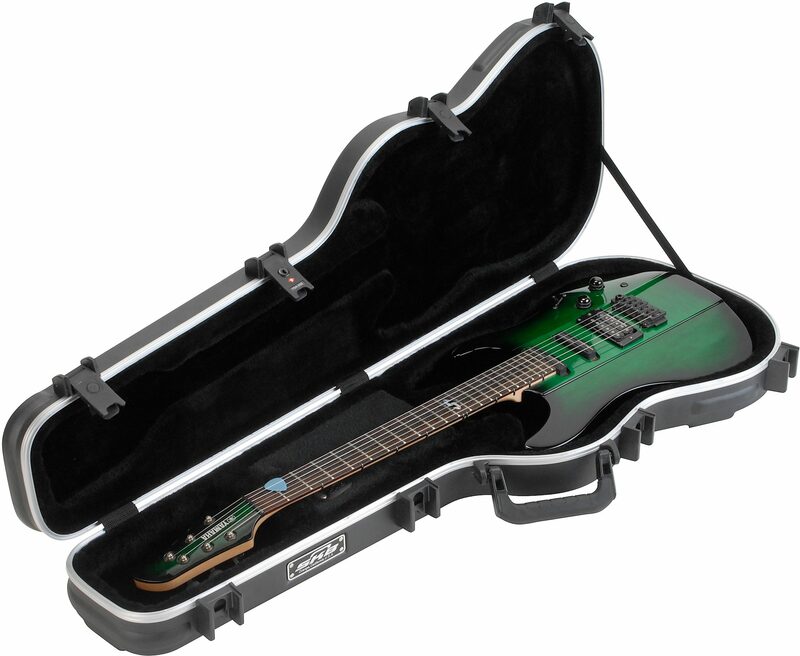 The SKB-FS-6 Shaped Standard Electric Guitar case has been modified to include trigger release locking latches with TSA accepted and recognized locks and also features SKB's injection molded cushioned rubber over-molded handle for a comfortable carry. 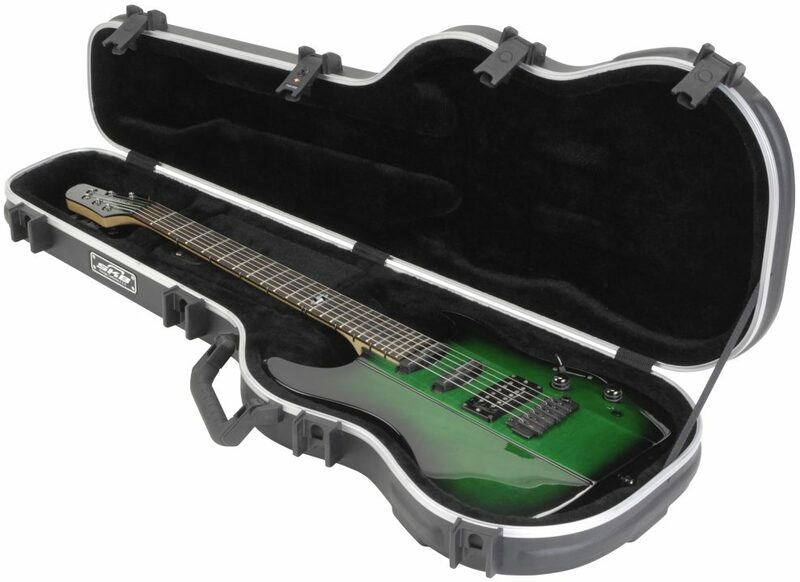 SKB rigid eps foam interiors prevent instruments from moving. The SKB FS-6 will fit Stratocasters(r) and Telecasters(r), either right handed or left handed models. Overall: Excellent quality case. Outstanding locking clasps. A little pricey but you get what you pay for. Tele sits very well inside. Plenty of padding. "SKB FS6 - Good Case, Great Price"
Overall: Nice compact hard case for Fender/Squire Strat... Jury is still out on the handle longevity, but I am pleased with the case overall, good fit, I like the latches... ZZ had the best price by far... well packaged in double cardboard boxes arrived in good shape.. it was on back order so it took a few weeks but zz kept me updated.